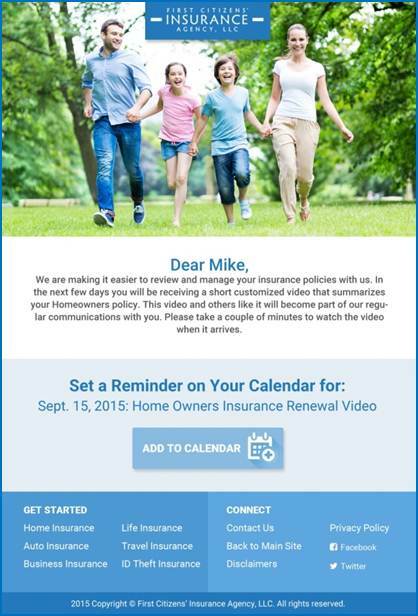 Insuritas leverages proprietary customer data to determine consumers’ policy renewal dates. Top 10 insurance carriers spend over $4 billion annually on “attention-based” marketing, creating an environment where customer acquisition costs are prohibitively expensive. Insuritas leverages FI loan & portfolio data & spending patterns to identify policy renewal dates and implement “intention-based” marketing strategies. The seamless experience for the borrower consistently adds value & drives conversions. Targeted, data-driven campaigns encourage consumers to shop when the time is right and enable FIs to develop a value-added cadence with their customers. I had the pleasure of dealing with Lisa as a representative. Lisa was efficient, experienced, and congenial. Reliable Insurance Solutions was the agency that I had used for the previous year. I would have changed carriers before renewing with that agency. I transferred my policy to your company and will continue my relationship with Safeco. Thank You, Lisa, you were the reason for the change.